It is Thanksgiving and I'm taking a break from writing this week. But my friend sent me this wonderful essay on motherhood today and I thought, "What a gift this is for any mother." And since, dear readers this is the week to give thanks, I'd like to exuberantly give my heartiest appreciation to you all who read and comment and support my writing. I am so grateful for you. Your readership, wisdom, and wonderful friendship warms my soul and helps this sticky road called "motherhood" feel a little less lonely. 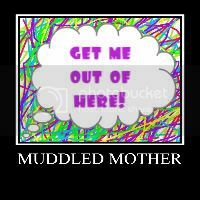 So please accept the following essay as a token of my thanks to all of my Mudders. Happy Thanksgiving! All I can say is Thank you! Thank you! Thank you! I really needed that perspective! Michelle! You are welcome! Have a Happy Thanksgiving!